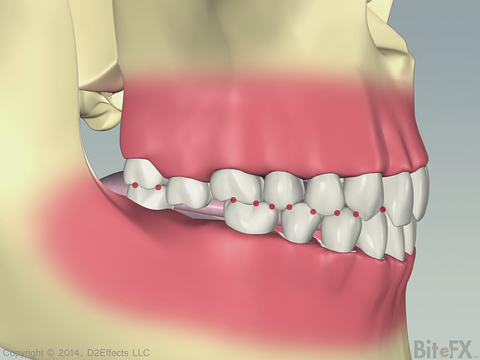 This month’s animation update shows how supra eruption can occur in the posterior teeth. First we show an upper molar erupting when its opposite tooth is not there (above image). Then we show how the tongue can sometimes expand to fill the gap, providing enough resistance to prevent the eruption. 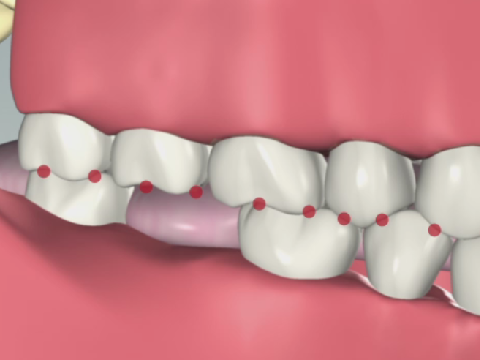 This animation helps you explain eruption of a posterior tooth and what you can do about it.